One of Minnesota's largest newspapers has endorsed a Republican congressional hopeful to fill the seat of the Democrat it supported in 2016. The Duluth News Tribune has endorsed Republican St. Louis County commissioner Pete Stauber to succeed retiring Democrat Rick Nolan (D., Minn.) in the state's Eighth Congressional District. The district's largest newspaper praised Stauber, a veteran police officer, for his "unwavering devotion and commitment to us in Northeastern Minnesota." "All voters in the 8th District can embrace Stauber's commitment to them, no matter their politics, confident he has made good on similar pledges made during a lifetime of devoted public service," the newspaper editorial board said. The Stauber campaign welcomed the endorsement. Spokesman Caroline Tarwid credited support to the candidate's focus on local issues, particularly in the district's economic interests in mining. "We are excited to receive the endorsement from the largest newspaper in the 8th district," Tarwid said. "Pete's blue-collar commonsense conservative message is resonating among voters in the district eager to send an independent voice to Washington that will represent all Minnesota families." The newspaper enthusiastically supported Democratic representative Rick Nolan for Congress in 2016. Editors called him "a warrior and a champion for the Iron Range and Northeastern Minnesota" in their 2016 endorsement. They have proved less enthusiastic for Nolan's campaign manager in that race, 2018 Democratic nominee Joe Radinovich. While praising Radinovich, a former state representative and "Fourth Generation Iron Ranger," as a "worthy candidate," the paper said Stauber has the better record of representing the district's interests and willingness to buck D.C. leadership. "In a heated election with strong, worthy candidates—don't buy the attack ads, smear campaigns, and other ugliness from special interests and party loyalists from both sides this fall—Stauber has emerged as the leader to stand up for and to fight for our corner of the state in Washington, D.C.," the endorsement said. Stauber has highlighted his experience as a police officer, small businessman, and union leader throughout the campaign. He has placed a particular emphasis on mining, the life-blood of the district. The paper praised him for backing economic development, while at the same time being mindful of environmental concerns. "Stauber is committed to ensuring clean water and environmental protection while also supporting copper-nickel mining and the jobs and economic boon it promises for Northeastern Minnesota," the endorsement said. The newspaper supported Stauber in his primary bid, which was uncontested aside from fringe candidates, in an article published before the August vote. The July editorial pointed to his independent principles, noting his opposition to right-to-work laws that are largely supported by the Republican Party. The general election endorsement said that the independent streak has continued on into the general election campaign. The editorial board expressed trust in Stauber when he said he opposed proposed Trump administration cuts to a preservation program for the Great Lakes. "Had he already been in Congress, Stauber would have gone toe-to-toe with Trump, he said, when the president zeroed out funding for the Great Lakes Restoration Initiative," the endorsement said. The Eighth Congressional District could prove vital to Republicans holding their House of Representatives majority. Democrats need 23 seats to retake control of the House and have voter registration advantages in many Republican-held districts. 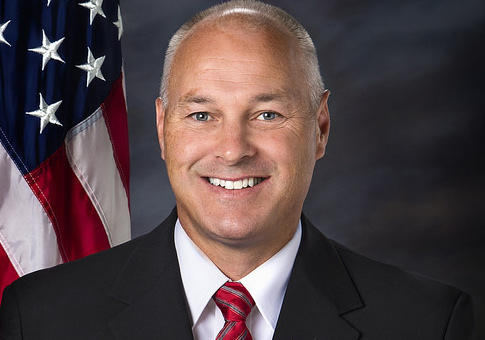 Stauber could help give the GOP breathing room as he runs to succeed Nolan. A September poll conducted by the New York Times showed Radinovich up 1, but the race has swung wildly as an October poll conducted by the Times had Stauber up 15. This entry was posted in Politics and tagged 2018 Election, Minnesota. Bookmark the permalink.